Experience God. Grow as a Leader. Connect with our summer staff family! We know it can be hard to find a meaningful summer job that also helps pay for college, or just life! We can provide you with a job where you will experience God working through you, grow as a leader, and connect with a family of like-minded peers (and you might be surprised at how much we can help you with that college tuition)! "This has been an amazing experience of community in faith. It’s a small slice of heaven." For over 60 years, we have been blessed to work with amazing summer staff who are serious about pursuing God by loving others, living out their faith in Christ, and having a blast while doing it! Get started on your application today! 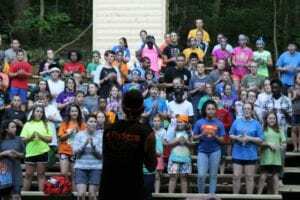 Whether counseling, belaying on the ropes course, serving meals, or playing ballfield games, a summer of camp ministry can truly have a significant impact on the life of a camper… and on yours! For over 60 years, Black Rock Retreat has been a place that God has used to draw people to Himself. What greater purpose can there be in life than that? If you feel that you may be called to love God and love people through a summer of camping ministry, then please consider serving at Black Rock Retreat Summer Camp! 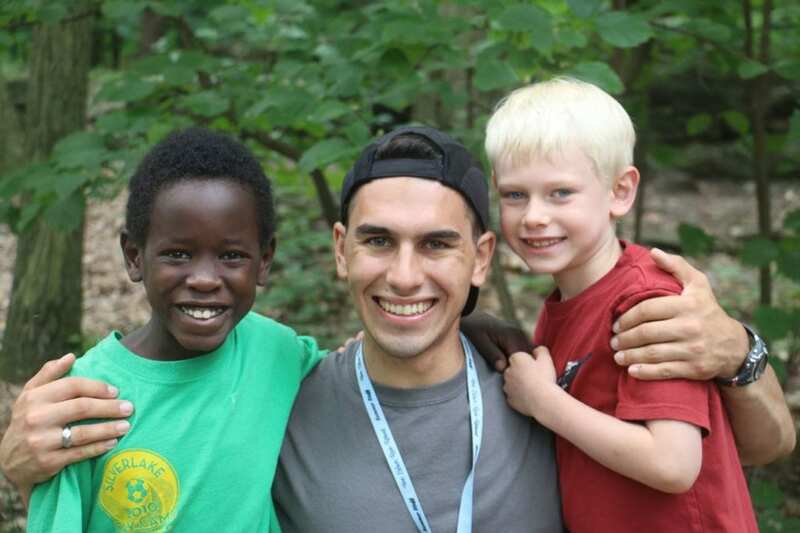 Black Rock Retreat’s Summer Camp program is 10.5 weeks long. The season starts with pre-camp training on May 30th and runs through August 12th. We share God’s love with to youth from rural, suburban, and urban areas who are from Christian and non-Christian backgrounds. 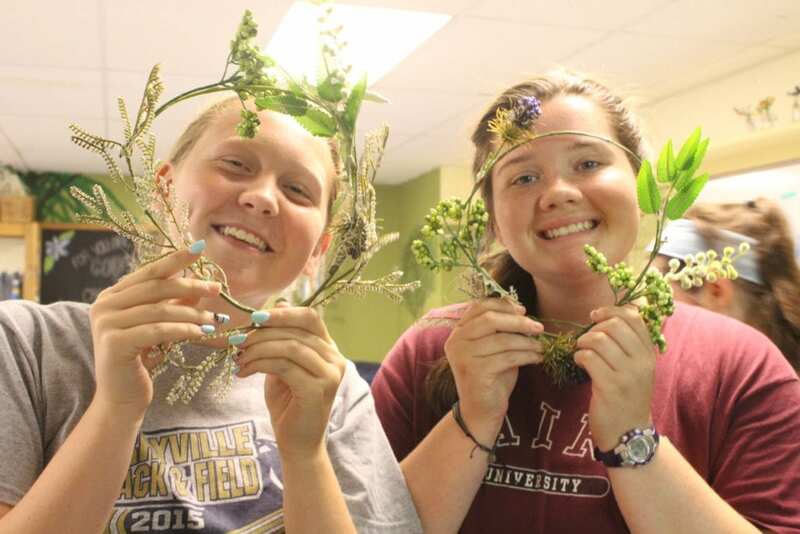 In addition to serving children between 2nd and 12th grades, we also have “Special Week,” which is devoted to providing a summer camp experience for adults with intellectual disabilities. Each summer we hire approximately 50 young people to form the staff that will make our program become a reality! 2019 Returning Summer Staff Application! If you would like to work at camp, but are concerned about meeting your financial needs, we understand. Many young adults have significant financial responsibilities to meet from car payments to college tuition. In light of that fact, we offer a competitive weekly salary of $270 per week. Returning staff will receive an additional $10 for every year they return. Still think it’s not enough? Remember that with other summer jobs, you might also have transportation costs, food costs, living costs, entertainment costs, etc. But if you are at camp, you don’t have those costs PLUS you gain 50 new friends, a loving community, loads of fun, ministry opportunities every day, and growth in your own spiritual walk. Or, if you don’t think you can work at camp because you are required to do an internship for your college major, we may be able to work with you to provide the experience you need. Don’t hesitate to call to find out! All staff reside on the property during the entire summer camp program with the exception of 2 days off on weekends. Staff are allowed to leave the property on their days off. Perhaps the greatest benefit the summer staff receives from working at Black Rock is the incredible opportunity to give back to the Lord by serving our campers and helping them come to know Christ and make Him known to others. During this process, you will have the opportunity to grow and deepen your own relationship with the Lord as well, and we’re just as serious about helping facilitate that in our staff as we are our campers. This kind of intense ministry may be the most challenging experience of your life, but in light of what Jesus did for us on the cross, it is well worth it! If you are interested in serving the Lord at Black Rock Retreat Summer Camp and would like an application, or if you have any questions about staff opportunities, please contact us using the information below. We will be happy to answer any questions we can and mail you more information. Whether counseling in a cabin, teaching classes, splitting wood, or serving in the dining hall, a summer at Black Rock Retreat could be one of the most significant experiences of your life! Feel free to contact our Summer Camp Director using the info below, or check out our Frequently Asked Questions.